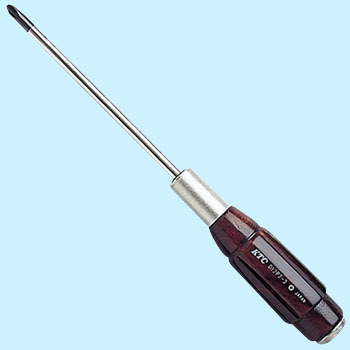 It is unknown whether it is the material of the tip, treatment or finish, but it is the few screwdrivers that do not lick screws. The shape of the handle is perfect for your hands and is very comfortable to use. In the tool box, this and the Swiss grip, only two kinds became. This review is about item#7134635. I used the same thing for about 10 years, but when I put quite some effort in trying to turn on the fixed M6 Plus, the tip broke. (Forcedly pulled out by nut welding) Grip feeling such as drift KTC, if not properly used it will not break. If it is a Japanese standard it fits perfectly. This review is about item#07134626.